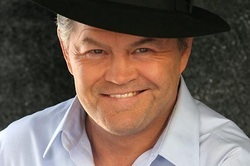 Micky Dolenz, singer and drummer of the Monkees, is celebrating the release his new album, Remember, which features many songs that mark great milestones in his life, as well as a few new cuts. Spinner spoke with Dolenz while he took a break from rehearsals for the upcoming Monkees tour to discuss the record, the Beatles, reuniting with Mike Nesmith and the death of Davy Jones. Micky, talk a little about the concept behind Remember. The whole CD came out of a discussion I had with a wonderful producer named David Harris. He had badgered me for awhile but we finally sat down and I mentioned a bunch of songs I wanted to record and the reasons why and it came down to this concept of doing sort of an audio scrapbook — either doing songs I’d done before and wanted to do again, or songs that I’d never done but wanted a shot at. These are songs I called the “should-have” songs because I’d been offered them in the past, I passed on them and they went on to become big hits! There’s “Diary” by David Gates. I had just toured Japan and didn’t think I should be doing a ballad at the time, so I passed. A couple of years later Bread did it and it was huge. Paul Williams sent me “Just an Old Fashioned Love Song,” I was doing a demo of it in my hone studio but then Three Dog Night gobbled it up very quickly for a big hit. Timing, people, timing! With a lot of the songs on Remember, you chose to re-think the original arrangements. David has a wonderful way of coming up with new arrangements. We really re-envisioned these songs as being different from the originals. “Remember” is by my friend, the late Harry Nilsson. The version of “I’m a Believer” is fun because we did it as a country tune. And there’s also stuff from early Monkee days, stuff we’d sit around the fire and do together. “Johnny B. Goode” was my audition piece for the Monkees, the song that got me the gig. I’d been in a cover band, Mickey and the One Nighters, that was just one of the covers we’d do. When the Monkee audition came along you had to be able to play, and I played guitar then and that was my audition. “Sugar, Sugar,” originally done by the Archies, really stands out in that sense. It almost has a Coldplay feel. Isn’t that wild? As far as I know, that was supposed to be the next Monkees recording out of the Don Kirshner stable. That was about the time that Mike Nesmith sort of led the palace revolt to get the right to at least have something to say about the music. Up until that point we had no control over anything — the music, songs, recordings, liner notes, photos. It really irked Mike — and Peter, to some degree — but we all got on board with the palace revolt and the rest is history. But that was the song that I was supposed to go into the studio and record but once the revolt hit, I up and bailed. And that’s how I met the Beatles. I’m like, “Sure, John,” trying to be all cool. “Far out!” And it was all I could do to not get their autographs. Then here comes George Martin who is wearing a three-piece suit. He takes me in the control room and he plays me the tracks for “Good Morning Good Morning.” That left a real impression on me. Back in the states, I was soon directing a Monkees episode and I wanted to use that song in the show and they gave us permission. I believe it was one of the earliest and only times you ever heard a Beatles song in any other context. And it stuck with me which is I was do a version of it on Remember. What sort of effect did the Beatles have on the Monkees? We were all huge fans. In fact, when Sgt. Pepper came out we stopped production on the television show to sit and listen to the whole thing end to end. We really were big fans. Unlike the urban myth, there was no Beatles vs. Monkees competition. Our fans were younger sisters and brothers of Beatles fans. Their fans were like 20 years old and ours were 10. And the Beatles totally got what we were about. John Lennon was the first one to say, “I like the Monkees. They’re like the Marx Brothers.” And he was right. We were a musical Marx Brother on TV with pop music and bell-bottoms. You were the one that got Jimi Hendrix hired as an opening act for the Monkees, right? I’d seen Hendrix before Monterey in New York at the Café Wha? in some other band. He was known as the guy that played guitar with his teeth. At Monterey, he came out with Noel and Mitch and I recognized him. I suggested to the producer of our show that they’d make a great opening act — he was just so theatrical, and we were too. And I loved the music. So he went on the road and I think he did six or eight gigs with us. We always had good opening act. We had Ike and Tina Turner, the Fifth Dimension, Lulu, some really big acts. The upcoming Monkees tour will no doubt be emotional for everyone what with the passing of Davy Jones. Absolutely. It’s so strange. Every show in my solo shows I acknowledge him. It’s just so weird. I still haven’t gotten my head around it. I knew him so well for so many years. There will be a new tone and sensibility this tour obviously and certainly we will be paying homage to David. As we speak, I am up in Monterey rehearsing with Mike Nesmith and so far, so good. Mike is very methodical, really wants it to be good. Peter and I have performed these songs of course for many years but Mike has not. But he is really dedicated to making these shows extra special, just like Peter and me.